With the emerging trend of using smartphones and tabs, the modern sales can’t ignore the need to provide mobile phone apps. Where hybrid apps are not so popular these days, but the knowledge of developing hybrid apps may come in handy in the near future. With this target in mind “Lets learn Coding” (https://www.facebook.com/LetsLearnCoding) organized an a workshop to introduce with the technology of hybrid app development. 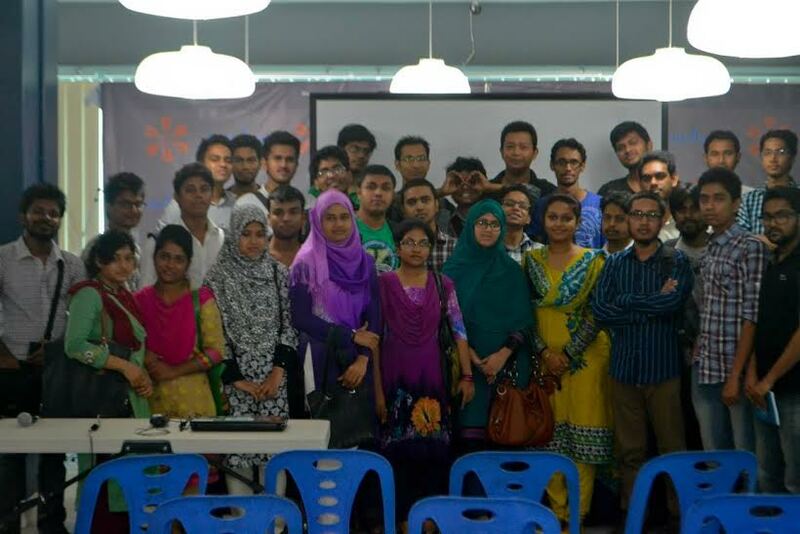 The workshop took place at Hubdhaka coworking space on July 12, 2014 from 11am to 4pm. The workshop started with a Hands On Session on building Hybrid applications with PhoneGap conducted by Anam Ahmed. Later on the event smoothly went on with session conduct by Aniruddha Adhikary, Sumon Selim, Gorky Gorky Sakhawat Sobhan and Ahmad Firoz on “Open Web APIs”, “Hands on App Development using Phonegap”, “Playing with plugins in Phonegap” and “Maintaining Native UI/UX in Hybrid App” The event’s technical partner was Kodeeo, KrossWare and outreach partner was Bangladesh Youth Empowerment Society (BYES), AHMHD, CodeandPencil. The event created a huge buzz on the developers’ community. The organizers claimed that after the workshop you will be able to develop your own hybrid app. The event venue was sponsored by Hubdhaka. Hubdhaka is a coworking space for professional productive meeting, events and workspace for freelancers, startups, small business and professionals located in Mirpur.